But what is a skills assessment and how is it relevant to my visa application? A skills assessment shows the Australian government that you have the necessary experience, training and qualifications to work for your chosen Australian work visa. It comes in the form of a certificate and is valid for a period of three years, unless another expiry date is specified. The skills assessment will contribute to the 60 or more points score that you need to attain in order to qualify for a skilled migration visa. How do I complete a skills assessment? Skills assessments are conducted by independent, industry specific authorities. The list of eligible skilled occupations will indicate the relevant testing authority next to your nominated occupation. Each authority has their own application process and you should consult their websites for more detailed instructions. As a guide, most skills assessments require you to fill out a series of forms and provide supporting documentation to demonstrate that you meet the criteria to work in your nominated profession. A basic English test may also be involved in your skills assessment. Assessments can be undertaken from inside or outside Australia. They are usually completed online, but the relevant skills assessment authority for your occupation may offer other methods depending on your situation. You can complete a skills assessment for any number of occupations that you may have the necessary experience in. However, your visa will only require you to attach the skills assessment that is relevant to the occupation that you have been invited to apply for. The skills assessment process is arguably the most critical step in the visa application process because it is through the skills assessment that you are determined as "desirable" to the Australian government for permanent residence. It is most crucial that you select the correct occupation pathway that best fits your employment skills and qualifications. Often, prospective migrants, through self-managing the process, choose the incorrect path at the start, which can have a detrimental effect when applying for the visa. Another mistake self-managed prospective migrants make is not properly considering and delivering the required proof in validation of their skills under assessment. Each of the assessing bodies has their own specific requirements and prerequisites which must be validly complied with in order to obtain a successful assessment. Those requirements and prerequisites can be difficult to understand and fulfil without the requisite legal and migration acumen. What are the costs and time frames involved? Fees, charges and timeframes for processing skills assessments vary between authorities. However, most authorities estimate two to three months to process your skills assessment. You should contact the relevant assessment authority for the most up-to-date information. Preparing and arranging a skills assessment can be a timely and complex process, but if done correctly it can significantly increase your chances of a successful visa application. Pathway Lawyers & Migration Agents are migration experts that consider your circumstances to choose the correct skills assessment path for you. They are also directly involved to ensure all the steps are properly complied with. To avoid any pitfalls in your skills assessment process, and possibly having your skilled visa application rejected, contact Pathway Lawyers & Migration Agents for assistance. 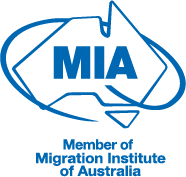 Newer PostWhy do I need an expression of interest (EOI) for my skilled migration visa application? Older PostWhat is a 457 sponsorship visa and what are the recent changes everyone is talking about?